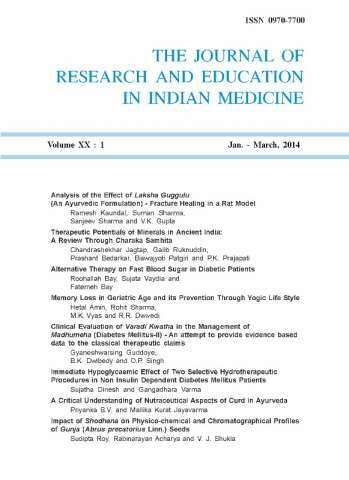 JREIM (http://www.jreim-ayushjournal.com) is peer-reviewed, international quarterly open access scholarly publication since 1982. Our open access policy ensure good visibility of the online content of the journals. The journal with high circulation and visibility, thus offer excellent media for promotion of your products, services or conferences through advertisement. JREIM - an international Quarterly has the potential to deliver the message to the targeted audience regularly with eachpublication. The cost of investment per view is substantially low for our print as well as electronicversion. To contact a Editor or author, use the information provided with the manuscript; we will not be able to provide additional details.